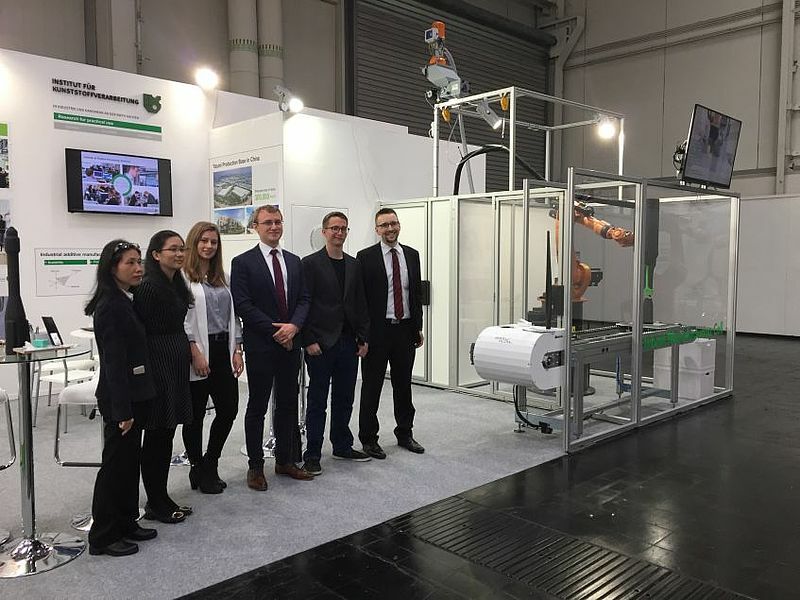 Under the lead topic "Integrated Industry – Connect & Collaborate", the world's largest industrial trade fair, "Hannover Messe", opens its doors from 23 to 27 April 2018. For the first time IKV presents itself and its research on a joint stand with Yizumi Germany in hall 6, stand L02. The highlight of the presentation is a hybrid production cell, which, based on a screw-based additive manufacturing process for the rapid processing of standard thermoplastics, permits the industrial integration of further manufacturing processes, such as machining or assembly work. The automated combination of additive manufacturing and assembly line production will be presented in detail. Visit us in hall 6, booth L02.